Goals listed below reflect the desired change in deer population from 2014 levels. Click the block heading or permit area for more information. Additional resources related to goal setting are listed after the goal listings. A complete summary of DNR response to public comments. 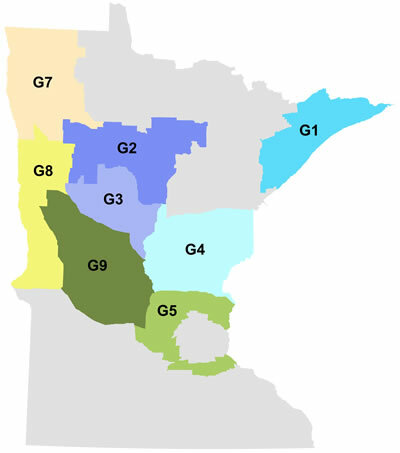 More deer in much of southeastern Minnesota is the anticipated outcome of a citizen-led deer population goal-setting process that increases deer numbers in five of the nine permit areas under review. 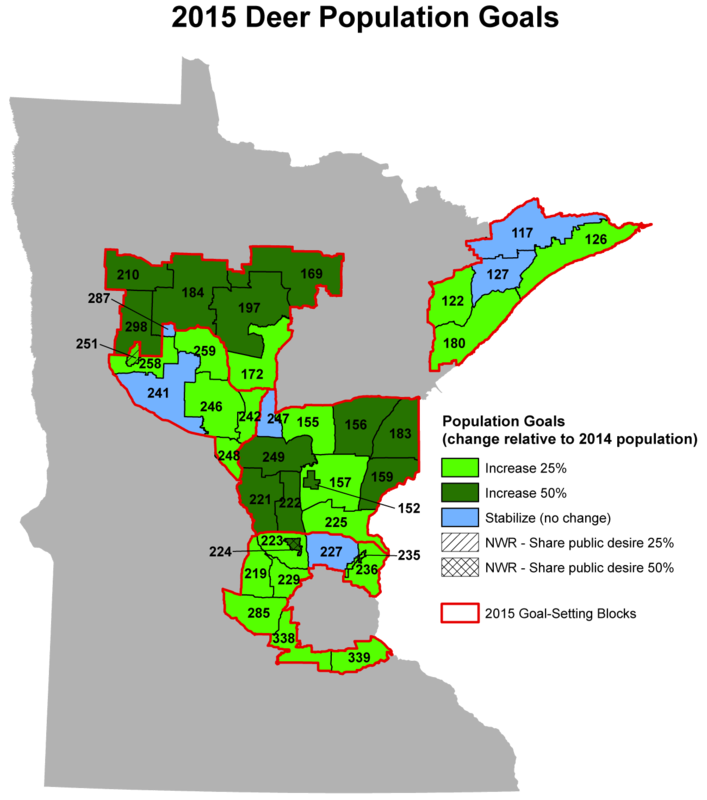 DNR increased goal densities in deer permit areas 341, 342, 345, 347 and 348. Permit areas 343, 346 and 349 will maintain existing goal densities. Whitewater Wildlife Management Area, permit area 344, will maintain current densities. Materials DNR wildlife staff provided to advisory team members and the public during the goal-setting process are available for public review. Contact Leslie McInenly, DNR big game program leader, at 651-259-5198 or send an email to [email protected] to receive these materials.